Susan’s journey of hope – she emerged from utter stress and misplaced hopes to find her calling and live victoriously as a parent facing child cerebral palsy. My name is Susan Njeri. I am many things but most importantly I am a woman, a mother to three wonderful children – Princess, Prince and Parsley – and wife to Patrick Karubiu. Outside my family setting and out in the world, I am a mother to all children with cerebral palsy both known and unknown to me. I am the founder of Special Caregivers Space (SpeCS). This is a Community Based Organization dealing with children with Cerebral Palsy (commonly known as “CP”) and their caregivers. Princess my first born and only daughter who is six years old has child cerebral palsy. She also has profound hearing loss. She is a lovely sweet girl and my love for her runs deep. It is amazing that I can at this point narrate the happenings involving CP without feeling remorseful or teary. Cerebral Palsy (CP) is neurological condition caused by brain damage that may occur before, during or after birth depending on the cause. I am deeply cognizant of what parenting a child with cerebral palsy means; because CP is rooted in my life. When expecting Princess, I didn’t know much about the pregnancy journey and what to expect during labor. I knew the theory of it but not the practical issues. I had taken up a nursing program sometime earlier and knew that at some point I wanted to have children. However, I hadn’t quite thought through the actual pregnancy and birth process. 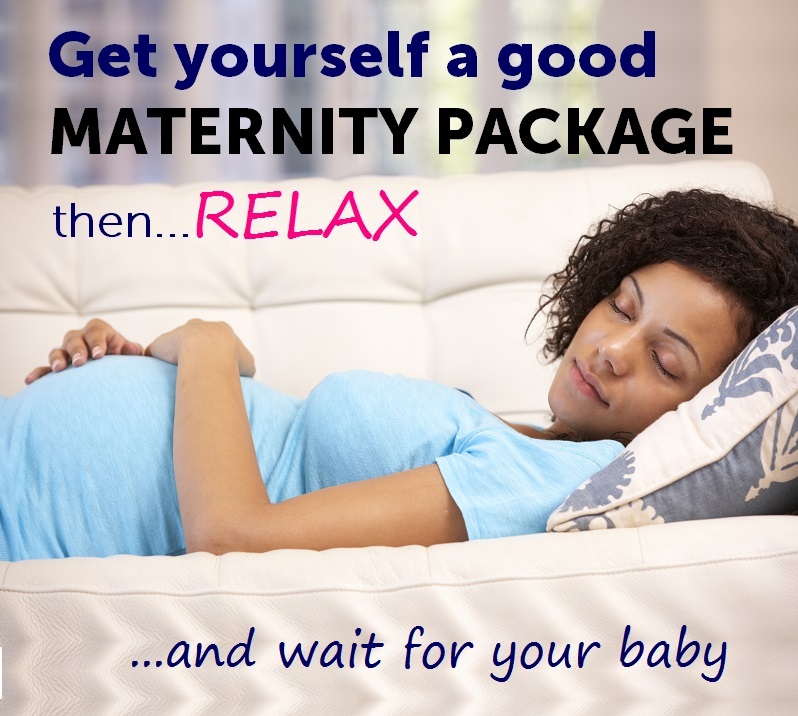 During my pregnancy I was very cautious and started my pre-natal clinic sessions in the first month. I followed these through, religiously, to the last month. There was nothing unusual observed. I thought my baby had choked to death and I panicked! I had a very short labour experience, but had cold chills running down my spine as I was told that my baby’s cord had wound around her neck. As a matter of fact, I thought my baby had choked to death and I panicked! However, her cry after about a minute or two gave me comfort. We were discharged two days later and proceeded home. On the fourth day, Princess stopped breastfeeding and stopped crying completely. My husband and I rushed her to hospital. She had severe jaundice, was admitted, put under antibiotics, photo therapy and blood transfusion. During this period, I developed stress! This lead to interference with my breast milk production and I could hardly produce the 60mls required every 3 hours. A nasal-gastro-intestinal tube was used to administer milk to Princess. It was a really hard time, but I thank God we were discharged after 14 days. Upon discharge we were advised to take Princess for an auditory test after two weeks. Diagnosis showed she was having hearing loss. There was suspicion that this was a result of the antibiotics she was taking. The saddest day of my life was however yet to come – and it arrived when indeed results showed that my Princess had profound deafness. She was only 6 weeks old then. I cried all the way home and cursed the doctors who saved her life but left her deaf! Days passed and at four months I noticed that she didn’t have head and neck control. I visited a doctor who sent us to a neurologist, who in turn referred us to an occupational therapist. It is at this point that I got the information that my child had cerebral palsy. There was not much explanation or counseling given about child cerebral palsy; all I was advised was to be taking her for therapy. I did this religiously. I had misplaced hopes, comparing child cerebral palsy to conditions such as rickets. Children suffering from rickets recovered fully after after 2-3 years of regular therapy and good diet. So I desperately took my baby for therapy, looking forward to recovery. I couldn’t hold back my tears during therapy sessions when I saw painful massages and muscle stretches administered to her. As the days went by, I got courageous and my interest in knowing what child cerebral palsy is and how to manage it grew. I learnt how to take therapy. I got stronger and the therapy sessions became enjoyable, not because it was enjoyable as such, but because CP developed into a line of interest for me. Days turned into months and then into years and little change was achieved. By this time I had come to fully understand the real meaning of CP and this put me at ease. My mind opened to new beginnings after realizing that CP is a long term condition. I fully accepted child cerebral palsy and its parenting responsibilities. There were no more tears and no more denial. Yet – despite my newfound realisation – I sometimes found myself many times saying … “Were it not for this child, I would have done this and that”. I will be very honest and say that taking care of a special needs child can be challenging. In short my child was “disabling” me, because I wasn’t flexible enough and had to often stay indoors taking care of her in the special way that living with cerebral palsy demanded. I couldn’t go to work and my husband was jobless at the time. It is at this point that financial constraints also started to grow. What sustained us was the little he got from his daily hustles. A few sympathetic relatives would chip in occasionally. I had serious reservations about having another child. Naturally we had the fear that the same condition may re-occur. But we were strongly advised that CP is not hereditary or blood related. So in due course my hubby and I received the blessing of Baby Prince, a perfectly normal child. He grew up very fast and was soon coaching Princess on how to play. He made the perfect play mate for Princess. Although way younger than her, he made her become very bright by learning a lot from him. Till now she continues to do so. After another year, it occurred to us that Prince also needed a sibling to make a trio to play together and encourage their special sister. And just like that, Parsley was born. I managed to take care of them even though balancing care for the three of them was quite hectic. At some point when things were quite demanding I made use of day care services especially for Princess. I started a daycare centre for special needs children from the inspiration of being mum to a child with cerebral palsy. It includes therapy services and is called Carevine Daycare Centre. Carevine is located in Dandora, Nairobi. Parents get a place to drop off their children as they run their errands and try to make a living to take care of the kids. In most cases, parents – and especially mothers – with special needs children, are unable to go to work because they can’t find a safe place to leave their kids. It is also not easy for them to find someone they feel comfortable with enough to take care of their special child. Or one who truly understands child cerebral palsy needs. Most day care services cater only for “regular” children and tend to overcharge those with special needs. At Carevine we do not charge any fees to attend to the daily child cerebral palsy routines. We aim to empower their parents to find the freedom to make a living. This works towards ensuring that disability and poverty are not tied together. We also offer free therapy services which are normally very costly elsewhere but constitute a basic need for CP children. Lack of therapy often leads to deterioration of the child’s condition. We also have some regular children who we charge Kshs 50 per day to cater for running the center and putting a meal on the table. The many challenges associated with caregiving for special needs children affect one emotionally, financially, spiritually and socially. One may feel disconnected from the community, family and even from God. It’s normal to feel this way. Luckily there is always a way to find healing. Acceptance is the key. It might not come automatically because it’s is not any parent’s wish to have a special child. It can happen to anyone, in any family and in any country. Our CP journey of hope has taught me many things. It has led me to my current job that I really love! This journey is my calling. It is important to note that disability is a club that anyone can join anytime. Be kind to special needs children and their care givers and ensure you touch and embrace a special needs child. Am speechless,may God bless you and your family. God bless you as you do this wonderful job. All I can say is God bless you. I thought am the only one who has gone through this. My daughter also has a brain damage after a fall when young. She is blind n disabled. You have encouraged me in a big way. God bless you.